LifeSight offers a Flexible Income Drawdown arrangement, which allows you to keep your pension savings invested while also withdrawing income as and when you need to. Your online LifeSight Account will give you sight of your future, so that you are in the best position to reach your goals. We make understanding and managing your savings simple. 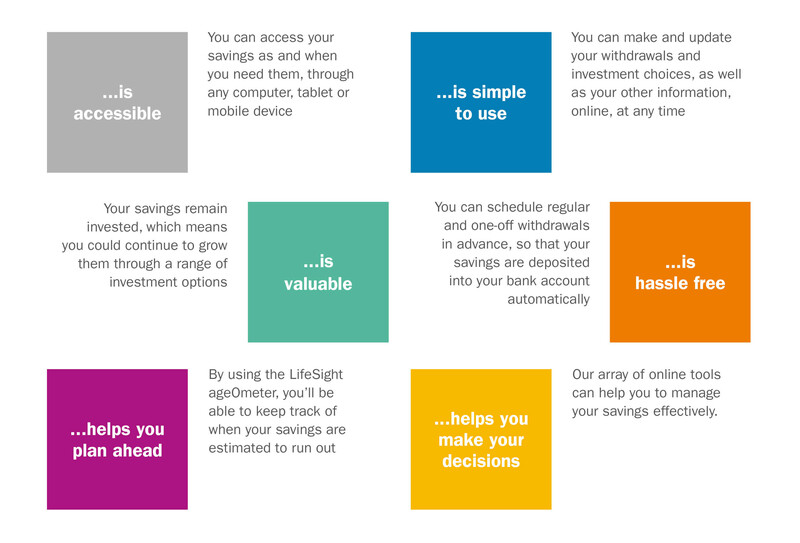 Your spending journey is made easier because LifeSight….